How smart are our dogs really? This is a question that we humans have been asking since dogs were domesticated. Canines are intelligent, relying on association, scent, instinct and memory. Dogs have always displayed characteristics of guarding, loyalty and playfulness and they're also gifted with an amazing sense of smell which we harness for complex tasks such as tracking or to detect explosives or diseases like cancer. 3. working and obedience intelligence (what people can teach a dog to do). Comparing breeds can be hard for the first two types, but there's a wide range in brainpower among breeds in working and obedience intelligence. The bumper sticker "My Border Collie is smarter than your child" may be an exaggeration, but Border Collies are considered the smartest breed in training and obedience. 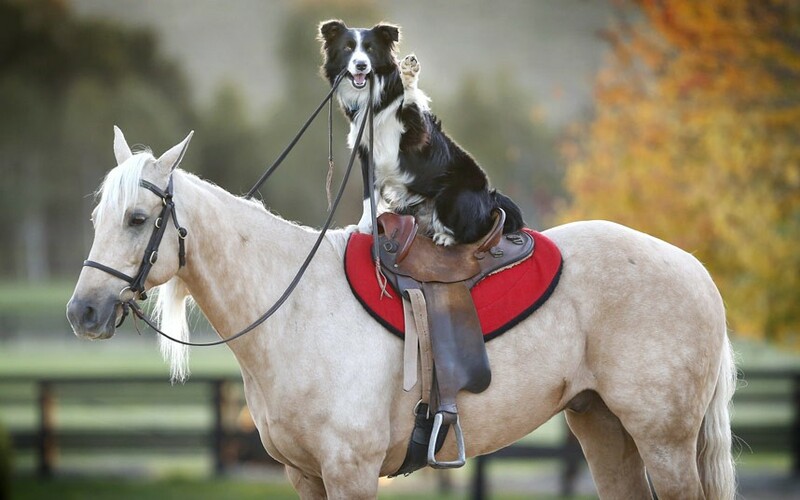 In a survey, 199 of 208 obedience training judges ranked Border Collies in the top 10. 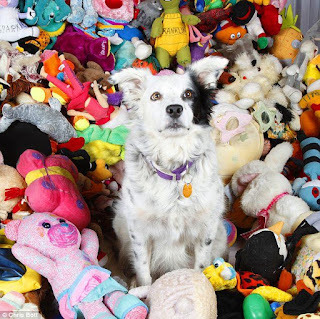 The others, in order, were Poodles, German Shepherds, Golden Retrievers, Dobermans, Shetland Sheepdogs, Labrador Retrievers, Papillons, Rottweilers, and Australian Cattle Dogs. Mentally, a dog is like a 2-year-old child. The average dog can learn 165 words. Those in the top 20% of intelligence can learn 250 words, and the smartest dogs may be capable of much more. Chaser knows all of her 1022 dog toys by name! Professor John W. Pilley taught his Border Collie Chaser more than 1,000 words - about the same vocabulary as a 3-year-old child. Astonishingly, Pilley discovered that she was capable of learning 10 words a day – the same as a nine-year-old child. But because she also needed more repetition than a nine-year-old to grasp the words, he decided to teach Chaser one or two a day instead – the same as a toddler. One of this main tips? Most of all, training should be fun - so use play and praise your dog often. There are very few that given time and having recognised the keywords, will not react to spoken from human to human such as: “Shall we go for a WALK?” or “ Time for BED”. It is not just the spoken word that brings about association in the canine mind. How smart is a dog? Well, actions can speak as loudly as words. The mere fact of a dog’s owner walking into the hall or kitchen with a coat on may be enough for the dog to jump up from his or her resting place in anticipation of doing for a walk. Alternatively, the sound of a car engine in the driveway may be sufficient to send a dog running to the door, expecting the arrival of its owner after being home alone all day. Intricate studies have proved that dogs show three-dimensional problem-solving skills. 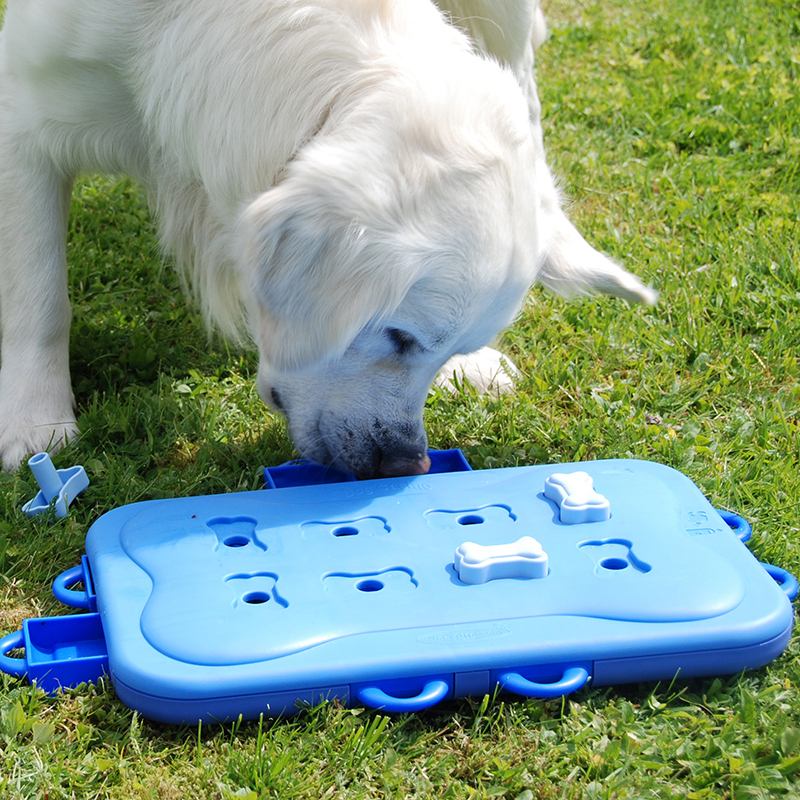 For example, they can locate valued items, such as treats when they are hidden and the dog has enthusiasm to find them. In terms of social intelligence - the ability to communicate and cooperate with others - dogs are very clever. Not only can they interact well with other dogs, but they are very good at communicating with humans. Brian Hare, a leading expert on animal behaviour at Duke University, has shown that domesticated dogs - in comparison to wild wolves - are much better at reading the social signs of others, such as a gaze or pointing with the hand. Neuropsychologists rank dogs' social intelligence on par with human teenagers. Research at Goldsmiths College in London showed that dogs felt empathy for not only their human guardians when they cried but also for human strangers.Dogs also have the same brain waves as humans when they are sleeping and are thought to dream, just as we do. It can be hard to compare the intelligence of different species. But based on brain size and body size, dogs are among the smartest animals on the planet. Only humans, the great apes, turtles, bottlenose dolphins and elephants are smarter. DOGS MAY TRY TO MANIPULATE YOU! Experiments show that dogs will purposely fool people and other dogs to get what they want. When a person and a dog are playing and they try to trick each other, a person can fool a dog about 47% of the time. A dog has nearly the same success rate. He can fool a person about 41% of the time! For more on this topic, you could read this recent article in Psychology Today. 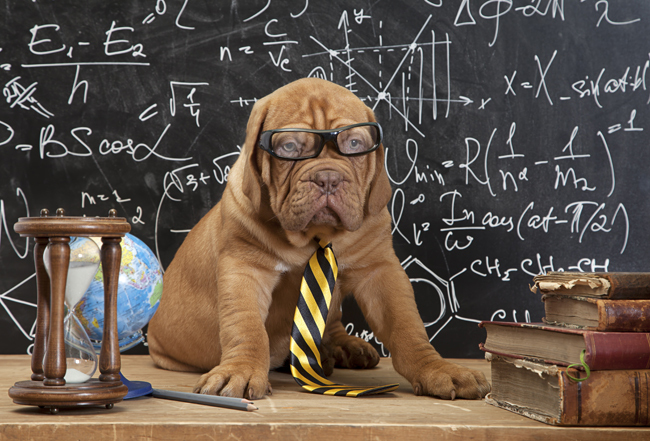 The good news is YOU can make your dog smarter. Dogs raised in a mentally stimulating environment learn faster than dogs raised in a boring one. New experiences and challenges help new neural connections form inside the dog's brain. Here are some "Fun Things to Do with your Dog". If you want a working dog, then pick a brighter breed. 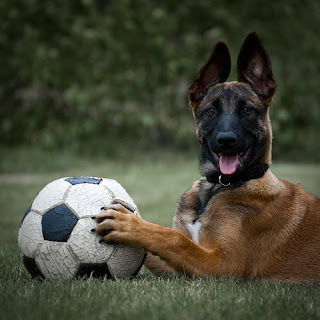 But as we found out with our own Belgian Malinois, smart dogs can be more demanding; they tend to need more attention and may be more high-strung and quicker to react in both positive and negative ways. Dogs today may be getting smarter. This could be due to selective breeding for skills that require intelligence - such as hunting, guarding, guiding, and shepherding. 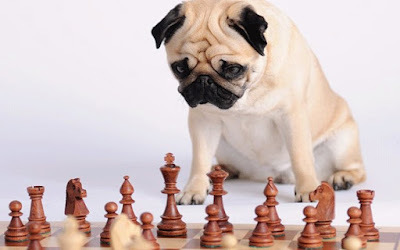 When it comes to canine brain size and how smart your dog is, it really is a matter of what they do with their brains, rather than how large their brains are that counts as a large proportion of their mental abilities will lay dormant or unused at any given time.